From time to time it’s important to ensure that the dovecote compartments are cleaned out. This can be a tedious and messy job but it’s essential as with having any pets that their environment is clean to prevent infections, pests or vermin. It’s important to do this when the doves have flown out the nest for the day. 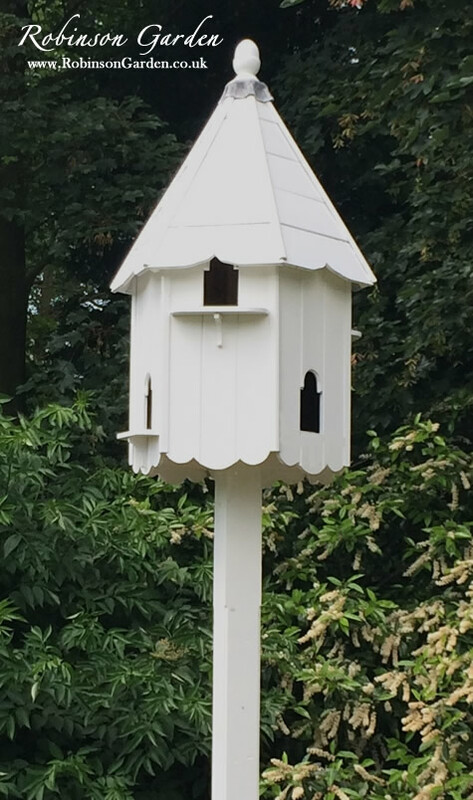 Some Dove experts advise lining the dovecote compartments with felt strips that can be easily replaced from time to time. Alternatively we would advise using a scraping tool to clean off the bulk of the mess and then apply a cloth with lukewarm soapy water to ensure all the mess is cleaned off. 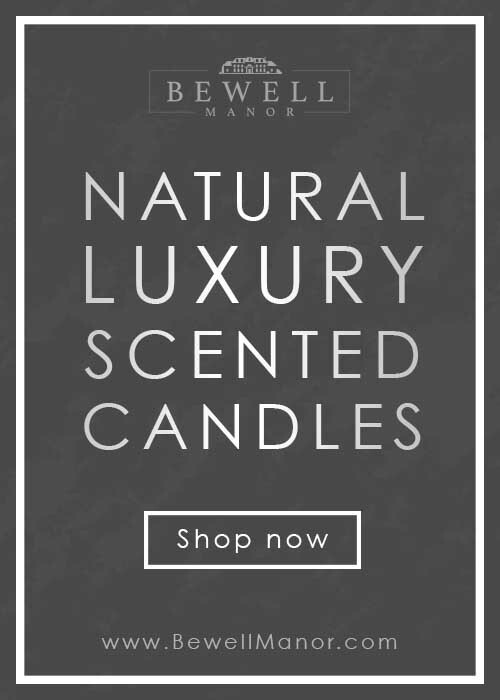 Avoid using strong odour cleaning products. Fairy liquid is most commonly used. 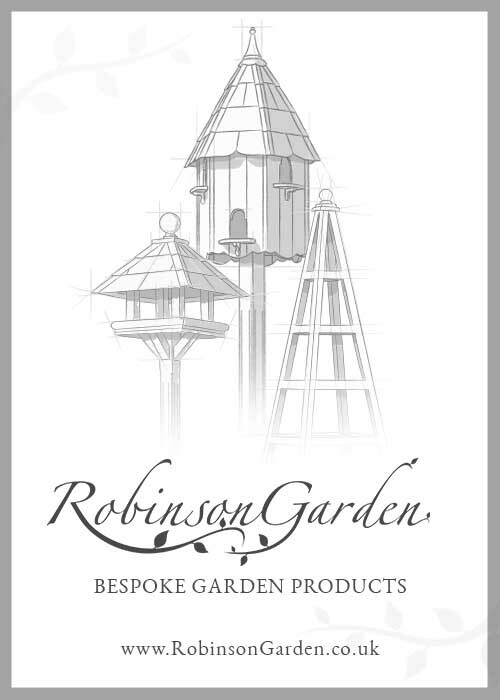 If you have one of our Robinson Garden Dovecotes with a reclaimed slate roof we would recommend that as a general up keep to ensure its continues to look elegant we would advise that you purchase some slate oil or teak oil. This can be purchased from most garden/ hardware stores and can you effectively paint the slate with the oil. Prevent using too much as it will drip. It creates a shine effect and brings the slate back to its former glory. 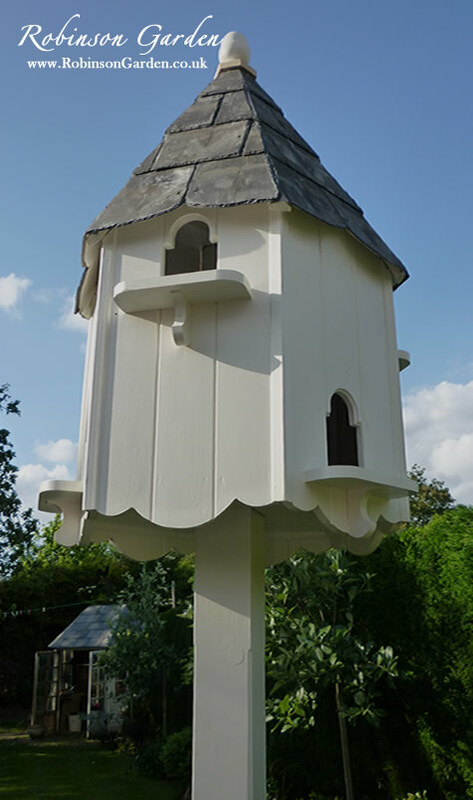 It would be advised that the doves are not in the dovecote at the time due to it’s odour. 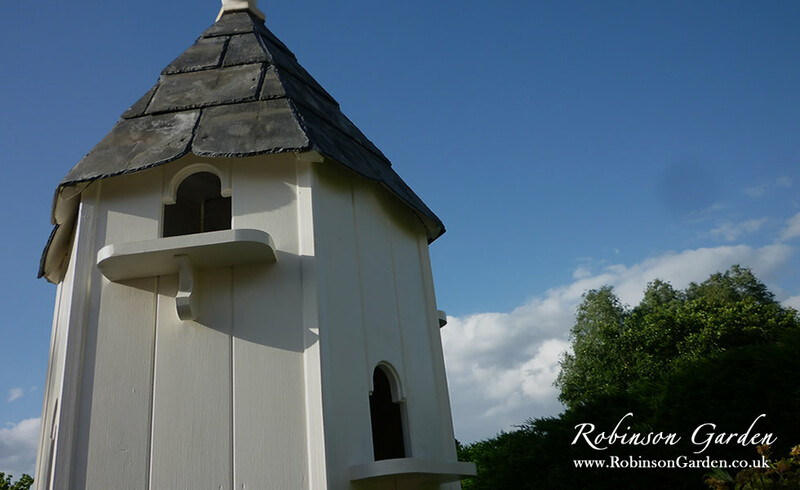 We would recommend that you repaint your dovecote annually, preferably in the spring months when the weather isn’t too warm or too cold. Before you start, ensure the areas you are applying paint is clean. Some areas may need sanding down, do so with soft sandpaper and brush off any dust. If the sanding has reached the raw wood, reapply farrow and ball undercoat. 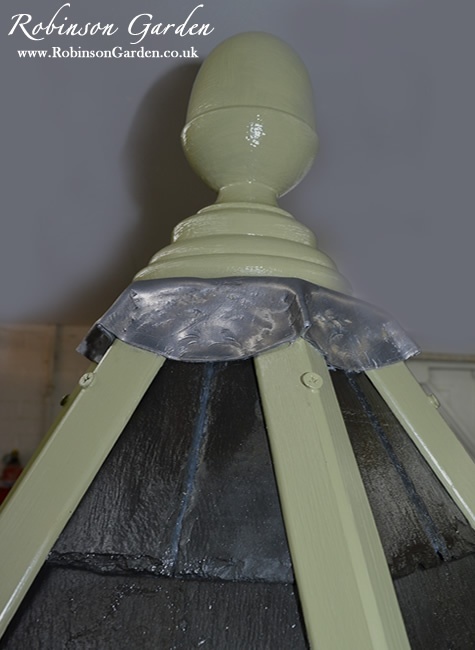 Allow around 4 hours for the undercoat to dry and then continue to paint in the farrow and ball colour of your choice. 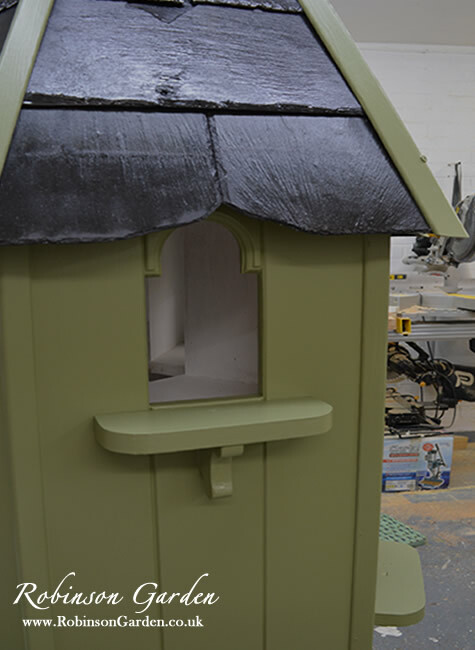 We are proud that our all of our dovecotes are hand painted by our highly experienced carpenters with the care and dedication they deserve. 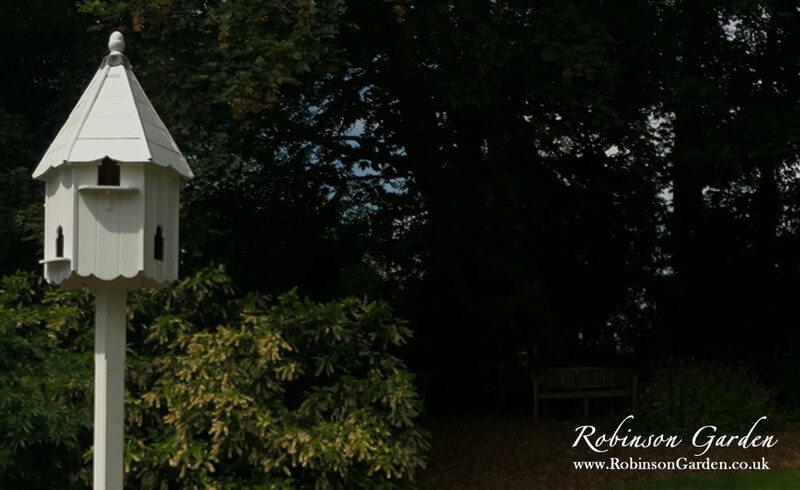 At Robinson Garden you have the choice of all the Farrow and Ball colours, which allows you to fully customise the colour of your dovecote to a particular colour scheme you may have in mind. 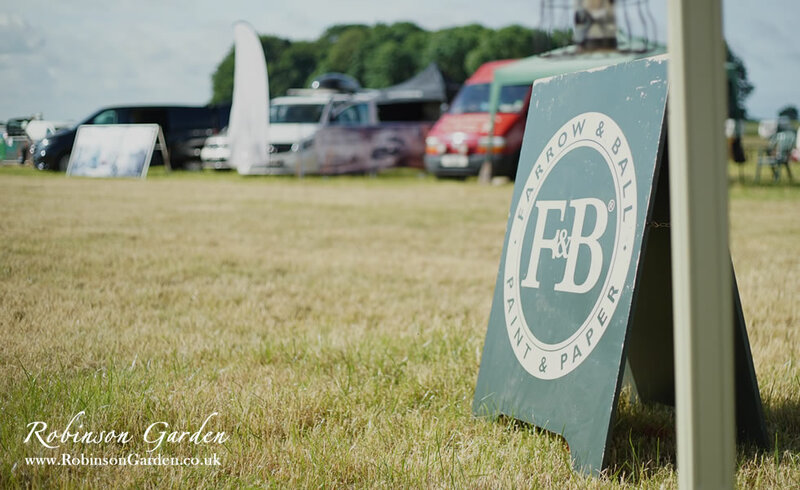 When re-ordering your paint, ensure you purchase the Farrow & Ball exterior eggshell paint. 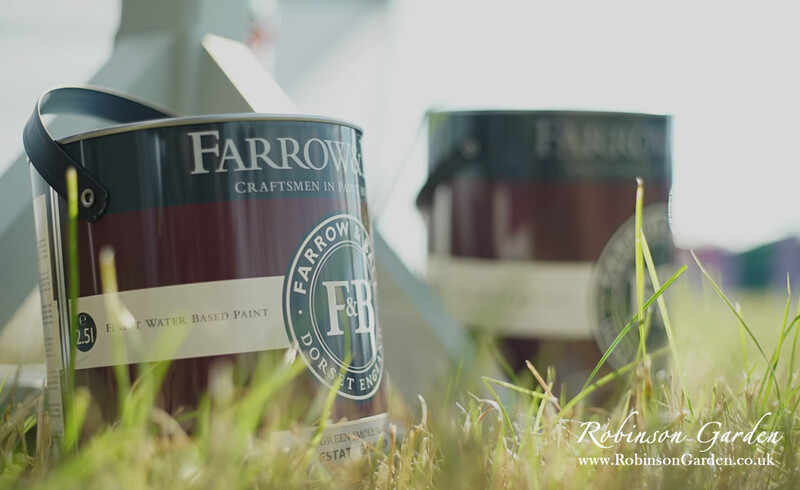 We carefully apply Farrow and Ball wood knot & resin blocker to any areas that need treating as well as a layer of farrow & ball external undercoat. The main post is treated further to prevent the wood rotting and ensuring longevity when it’s placed in the ground.